EUROPART brand engine, gear and hydraulic oils have been approved for use with their products by MAN, Mercedes-Benz, Renault Trucks, Volvo, ZF and Mack. 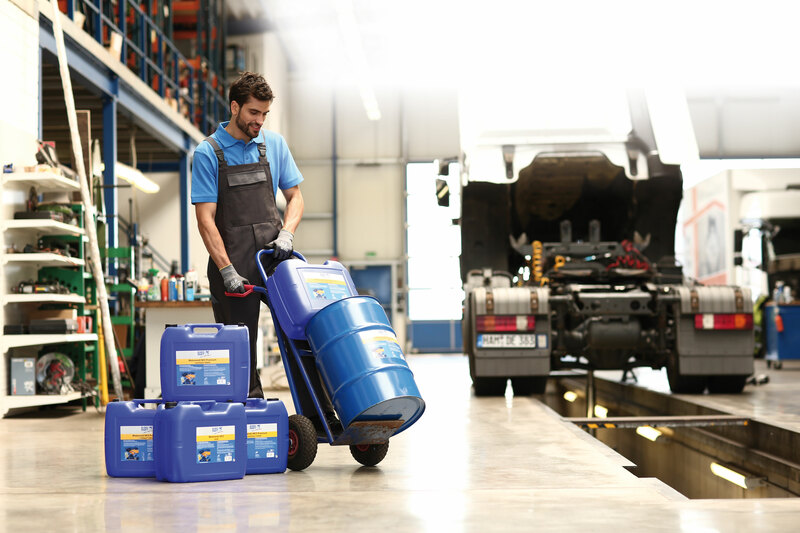 This approval means that clients can now rest assured that EUROPART engine oils are 100% compatible with their vehicles. EUROPART oils are characterised by their low consumption, low level of sedimentation on pistons and high resistance to oxidation, so that they can be used for longer without the necessity for an oil change. Our low-viscosity motor oil "NFZ-Premium MAXX SAE 5W-30", for example, provides a high level of protection of the new low emission Euro 5 and Euro 6 engines. This oil, produced exclusively in Germany, can also be used in older vehicle models and is also suitable for use in HGVs and buses. Additionally available are engine oils with different viscosities, such as our super low-viscosity oil 10W-40, which is the ideal universal lubricant for those with an extensive and varied vehicle fleet, and our SAE 15W-40 that can also be used for vehicles with AbBlue injection systems and in which longer oil change intervals are required. Among the EUROPART range are also gear oils with manufacturer approval, in particular the powerful high pressure gear oil Synthogear Int. SAE 75W-80. This oil is perfect for hard-worked gearboxes with and without retarder or intarder and auxiliary transmissions. The synthesis process used means that the oil need only be changed after use for up to 400,000 km (depending on manufacturer&apos;s specifications), even after exposure to high temperatures.